A metered connection is an Internet connection that has a data limit associated with it. Cellular data connections are set as metered by default. Wi-Fi and Ethernet network connections can be set to metered but aren't by default. Some apps might work differently on a metered connection to help reduce your data usage. Also, some updates for Windows won't be installed automatically. Internet service providers can charge by the amount of data used (the amount of data sent and received by your PC). That's called a metered Internet connection. These plans often have a data limit, and if you exceed the limit you might have to pay extra. In some cases, you aren't charged extra but your connection speed becomes slower until the billing cycle ends. If you have a metered Internet connection, setting your network connection to metered in Windows can help you reduce the amount of data you send and receive, and prevent Windows Update from automatically downloading and installing updates. This tutorial will show you how to set a wireless network (Wi-Fi or mobile broadband) as a metered or non-metered connection to help reduce data usage for that network connection for all users in Windows 10. 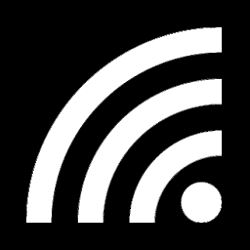 Wi‑Fi networks — Windows sets Wi‑Fi networks to non-metered by default. But if your Internet service provider charges you by the amount of data you use, setting your network connection to metered can help you limit your data usage. Mobile broadband networks — Windows sets mobile broadband networks to metered by default. But if your mobile broadband service is actually unlimited, then you might want to change the network setting to non-metered. Any app that relies on an Internet connection to update or display info might be limited in the amount of data it can download or display. Windows will automatically download and install updates, except on metered connections. In that case, Windows will automatically download only those updates required to keep Windows running smoothly. Start screen and Start menu live tiles might stop updating. Starting with Windows 10 Creators Update version 1703, Windows Update will now also automatically download on a metered connection only those updates required to keep Windows running smoothly. 1. Connect to the wireless network that you want to turn on or off as a metered connection. 2. Do step 3 or step 4 below for how you would like to open Network settings. 3. Open Settings, click/tap on the Network & Internet icon, and go to step 5 below. 5. Do step 6 (current) or step 7 (select) below for which wireless network you want to manage. 9. You can now can close Settings if you like. netsh wlan show profile name="name"
netsh mbn show profile name="name"
Substitute name in the command above with the actual wireless profile name you want from step 2 above. netsh wlan show profile name="Brink-Router2 2"
netsh mbn show profile name="Viva"
Unrestricted (non-metered) = To set that this wireless connection is unlimited and not restricted by usage charges and data capacity constraints. Fixed (metered) = To set this wireless connection is not restricted by usage charges and capacity constraints until you reach a certain data limit. Variable (metered) = To set this wireless connection is charged on a per byte basis. Substitute cost in the command above with either Unrestricted (non-metered), Fixed (metered), or Variable (metered) for what you want to set instead of what is currently set in step 4 above. 6. When successfully finished, you can close the elevated command prompt if you like. Hi Brink is this tutorial applicable to Build 9926? Thank you for the heads up about there being a "metered connection" setting Shawn. I didn't even realize it was there and since I have Verizon wireless internet with a monthly data plan, it might help to have my wireless connection set to metered.